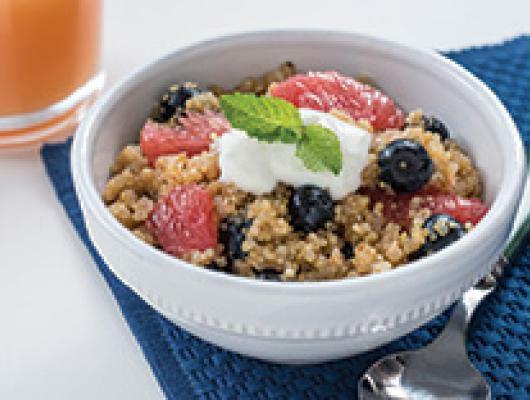 In a small saucepan, combine grapefruit juice, water, quinoa and honey. Bring to a boil; cover and simmer for about 15 minutes or until liquid is absorbed. This refreshing breakfast combines hot quinoa with Florida grapefruit and blueberries for a new twist on breakfast.